Spray a large pot with spray oil & lightly sautée the diced red onion & diced mixed peppers for a few minutes to soften. Add the mince & cook through. 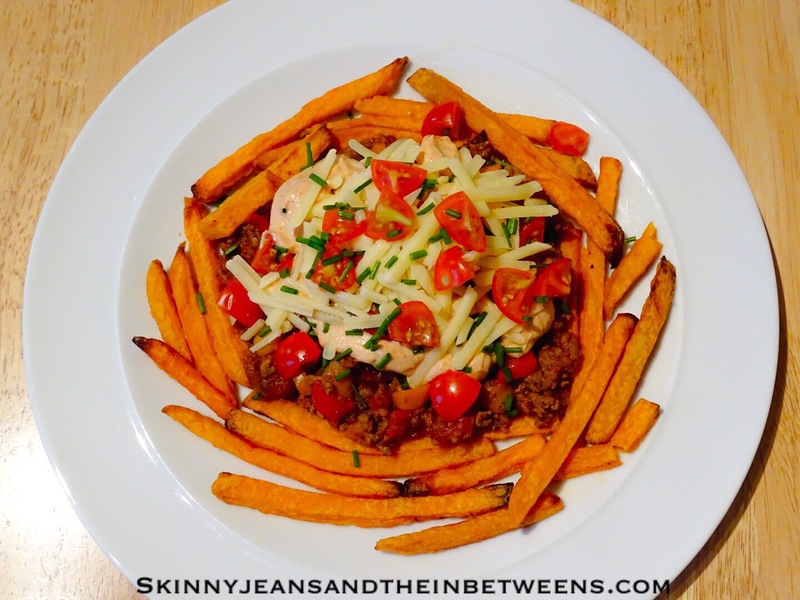 Add in all the herbs & spices listed under the taco mince mix above & stir through well. Crumble over the stock cube & add the Worcestershire Sauce. Throw in the tinned tomatoes & chop them through with a sharp knife. Simmer on a low heat for an hour, this produces a lovely glossy thick sauce if you cook it for less time it will be watery. Mix all the Taco Sauce ingredients together well in a bowl until smooth and keep refrigerated until needed. 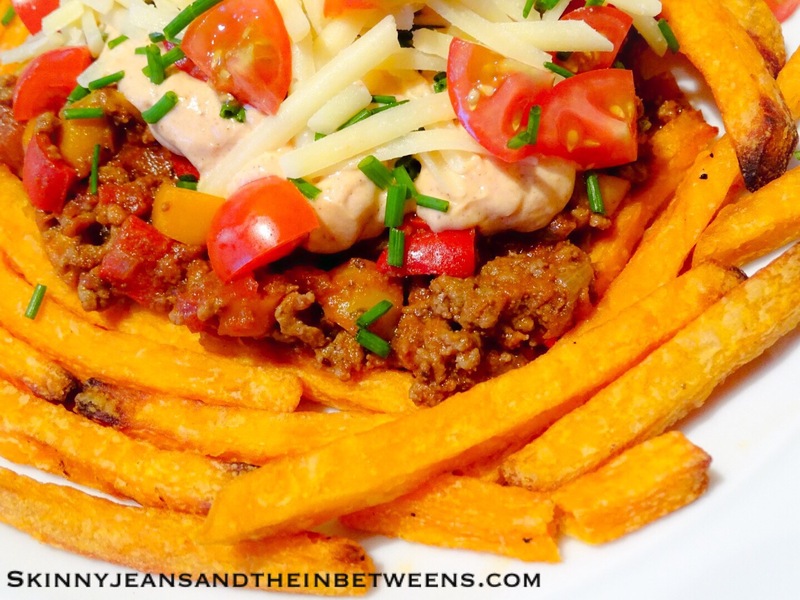 Meanwhile preheat your oven to 200c and cook the sweet potato fries for 20/25 minutes. 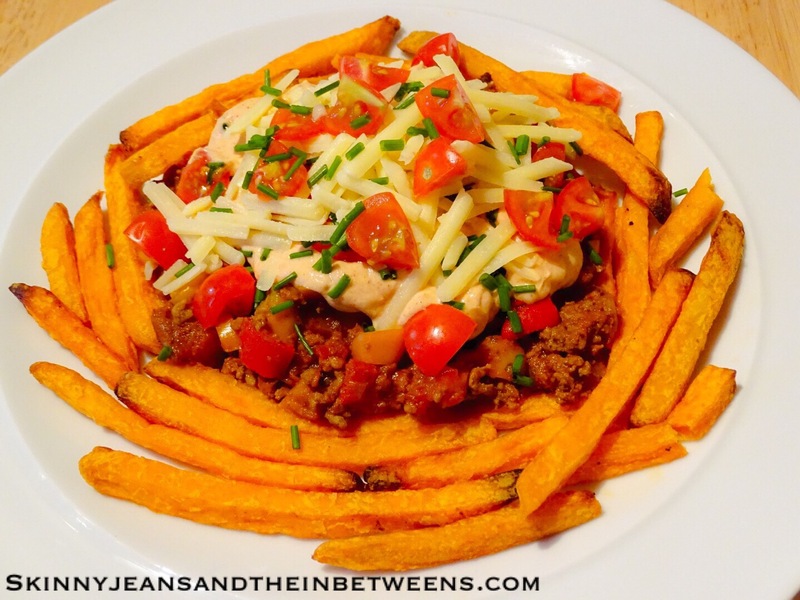 Divide your taco mince on to 4 plates or bowls & surround it with the sweet potato fries, divide the sauce evenly over the top & add a few chopped cherry tomatoes, chives and the grated cheddar to garnish & enjoy!